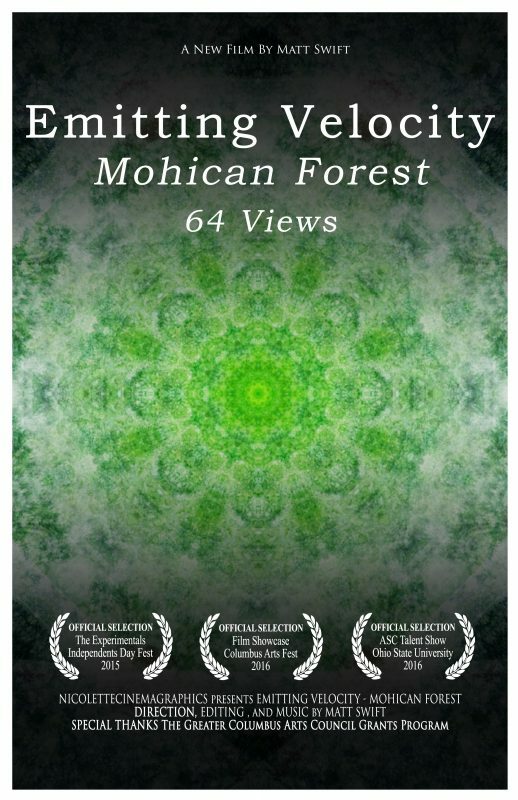 Emitting Velocity – Mohican Forest – 64 Views features documentary footage of the Mohican State Forest in northern Ohio. The piece is composed of 64 videos of the forest compiled through specific editing techniques to amplify all 64 views at one time in a 3 minute moving image painting. Another element of this specific piece is the inclusion of a soundtrack I specifically designed, performed, recorded and edited for the piece. In other words every element of both the audio and visual content was created together.